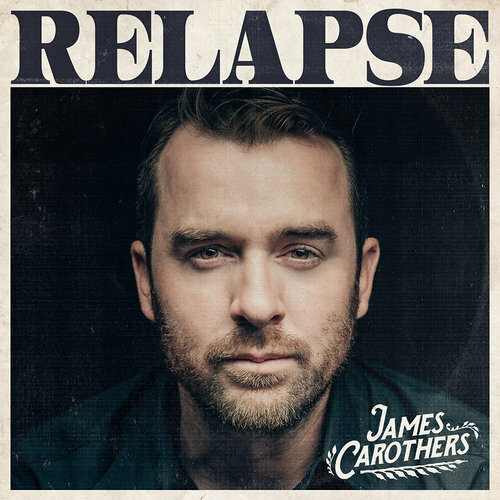 new music In 2019 from Nashville Honky Tonk Crooner, James Carothers. One song per month. A few stories. James Carothers is known for his stone-country originals, spot-on impressions of several of country's greatest icons, character band mates and a large fan base of fiercely supportive followers who love real country music. James can be found playing several shows each week at The George Jones, AJ’s Good Time Bar and Dierks Bentley’s Whiskey Row in Nashville, TN when he's not on the road, having played over 1200 public and private events since January 2015. Solo, duo, trio & full-band shows are available. In 2019, James will be releasing a series of 12 new singles – one every month – under the banner ‘Songs and Stories.’ Previous releases include ‘Still Country, Still King: A Tribute to George Jones’ (September 2018), which debuted at #16 on the iTunes Country Chart, his first full-length original album ‘Relapse’ (May 2017) and an EP ‘Honky Tonk Land’ (June 2014). In 2015, James left a technician job at the Los Alamos National Laboratory in New Mexico and returned to his native state of Tennessee to pursue a country music career at the unlikely ripe-old-age of 33. Since then, he has performed over 1200 shows at The George Jones & other venues throughout downtown Nashville. George Jones' own widow, Nancy, personally hired Carothers for the gig, giving him the opportunity to make a living playing music & to hone his hobby-turned-profession in an accelerated fashion. James plays several shows each week in downtown Nashville, TN when he’s not on the road. Nashville dates are added to his schedule 3-4 weeks in advance, so be sure to check back & drop in for a show when you're in Music City! WATCH: "Treat Your Man a Little Bit Better"